VMware vSAN is integrated within the kernel of the vSphere hypervisor itself and serves as the core foundation of VMware’s HCI strategy. The culmination of its simplicity, security and agile design has made it the natural leader of this rapidly evolving industry. This of course makes perfect sense as the company that changed the data center forever with the proliferation of its server virtualization technology, is once again manifesting itself by consolidating and virtualizing all facets of the data center into a single consolidated package. According to Gartner’s report, VMware’s HCI solution has the following advantages versus its competitors. Offers the broadest set of hyperconverged solutions to accommodate certified platforms, turnkey software appliances, rack-scale SDDC solutions and HCIaaS cloud bundles. Includes the popular triad of products of vSphere, vSAN and vCenter that so many are familiar with, averting the learning curve that is typified when migrating to new technologies. An aggressive product development cycle that continues to release advanced data services and enhancements that improve performance, value and security. Companies are rushing to complete their digital transformations in a world driven by the speed of ideas and the consumerization of IT. As a result, solutions that introduce simplification, consolidation, agility and cost savings continue to gain traction amongst enterprises and consumers alike. Consider the appeal of all-inclusive vacation resorts that provide travelers one stop shopping and a central hub that allows them more time for what a vacation is all about; rest and relaxation. For years, the fast food industry has packaged a sandwich, side item and beverage for one simple price point that efficiently gets the customer in and out in perfect synchronicity. Even though the ordering process is consolidated, the customer still has the flexibility to choose their favorite drink or side according to their taste. These analogies illustrate the beauty of HCI architecture for enterprises today. Like the fast food example, HCI takes three components; compute, network and storage and virtualizes all three, consolidating them into a single manageable portal. This streamlined approach eliminates silos and reduces the footprint of your infrastructure. Rather than tying together platforms from multiple vendors that must be ripped out and replaced every few years according to compatible refresh cycles, it software defines your data center, taking advantage of existing x86 technology. Rather than enduring forklift upgrades, the software approach of HCI makes way for perpetual incremental developmental upgrades. This allows your software based infrastructure to take advantage of future performance improving technologies that can be implemented as building blocks. All the facets of HCI simply build on one another. Simplicity reduces TCO. Harnessing incremental technology advancements in real time improves performance and reduces TCO. How many times have you heard about agility when discussing IT infrastructure? 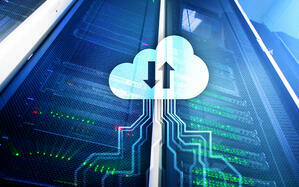 It is one of the primary justifications for moving to the cloud or hybrid IT. It is also a big reason why enterprises are introducing HCI solutions into their data center(s). In order to compete in the digital economy, companies are implementing software-based solutions in place of their legacy hardware infrastructure. So why is it that the first discussion point when considering alternative HCI solutions such as Nutanix or HPE Simplivity is the purchase of a dedicated hardware appliance? That is not necessarily the case with VMware. Yes, because it is hardware agnostic, you can purchase a vSAN ReadyCare solution from a VMware OEM partner, but you can also simply enable vSAN on your existing vSphere infrastructure. That’s because it is already integrated with it. VMware gives you the flexibility to source your hardware and software independently if you choose, which can reduce your deployment costs. This has been illustrated in a variety of cost case comparisons to other solutions. Isn’t that what agility is all about? In the same way that ESXi allowed you to maximize your existing server hardware, vSAN allows you to maximize your current vSphere environment so that installation and configuration are completed with mere mouse clicks. With vSAN, you can leverage your current flash/SSD technology structure and upgrade it when business demand or new technology justifies it. With vSAN, you only buy what you need today, and tomorrow, next year and the foreseeable future. While Nutanix designed their hypervisor from the ground up, your server admins already work with vSphere. That being the case, why would you belabor them with a new technology platform to learn when vSAN is seamlessly embedded within vSphere itself? Like your current virtual infrastructure, vSAN, lets you leverage the experience compiled by your present staff, which again, reduces TCO. In fact, VMware has set out to make the user experience of its HCI platform so simple that it can be managed by IT generalists instead of dedicated experts. VMware vSAN is about eliminating the time-to-expert time cycle. Agility and simplicity are the “go-to” words of data center vocabulary today, but flexibility without regards to security and compliancy is of little benefit in a world plagued by hackers and exploits. Security must be fully integrated into any IT component or device today in order to protect the data that drives ideas for your business. VMware vSAN offers the industry’s first native HCI FIPS 140-2 validated HCI encryption that protects builds data-at-rest encryption into the vSAN kernel. It then enables it at the cluster level and encrypts all objects in the vSAN data without the need for expensive self-encrypting drives. Whether you utilize hybrid or all flash configurations, your data is protected and complies with both U.S. Federal Security and GDPR requirements. Built-in security is one of the reasons why Gartner identifies VMware as an HCI industry leader. By all measures, vSAN is indeed a true HCI solution that lets you choose the deployment that best meets your environment, performance and budgetary needs. With vSAN, your infrastructure grows along with your business. Whether on-premises, on the edge, or in the cloud, the vSAN centered HCI solution from VMware continues the transformational innovation of the world’s virtualization leader. Next Steps: Become an IT hero by downloading our white paper, "A 360-Degree View of the Agile VMware vSAN Platform."